Grant Thornton—a leading Canadian accounting and business advisory firm – and the largest accounting firm in Atlantic Canada – providing audit, tax and advisory services to private and public organizations. To complement our technical knowledge and expertise, we have professionals who are dedicated to developing in-depth industry knowledge. Together with the Quebec firm Raymond Chabot Grant Thornton LLP, we have approximately 4,000 people in offices across Canada. 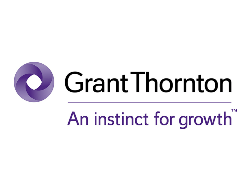 Grant Thornton LLP is a Canadian member of Grant Thornton International Ltd (Grant Thornton International). Grant Thornton International and the member firms are not a worldwide partnership. Services are delivered by the member firms independently.